We at ETH Zurich (Swiss Federal Institute of Technology) are using Moodle in a wide range of didactical scenarios (e.g. blended learning, MOOC-like courses, learning analytics). Additionally, we examine several thousands of students in high stake online exams each term. The main reason for this has been due to the orientation of exams in the alignment of learning, examination and working skills. Our first pilots with this method started back in 2007. Since then a lot has changed, and we have gained further knowledge about what’s essential and have gained experience for and in high stake online exams with Moodle (e.g. usage of a secure web browser like www.safeexambrowser.org). I will be happy to give you some insights into our approach and experiences and discuss with you the requirements and ideas for successful online assessments. Thomas Korner studied geography at the University of Zurich (Switzerland). 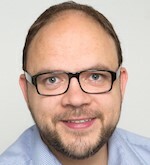 In 2006, after a short period in research, he joined the administrative department "Educational Technology and Development (LET, www.let.ethz.ch) at ETH Zurich. As a member of the innovation management group, he helped several innovative ideas to evolve into university-wide services like “ETH EduApp” (classroom interaction app) or “Learning in mixed realities” (ongoing). Additionally, Thomas is the service owner of Moodle (strategic learning management system of ETH) and is therefore involved in diverse innovative service developments (like online examinations).